Garrick by Django & Juliette is a formal low heeled pump. You would wear Garrick to a black tie event or even the opera. Garrick will glisten and shine under the night sky as the soft suede is covered with tiny black jewels. Although Garrick has a soft and durable suede outer the black jewels and intricate detailing is delicate so take care when wearing. Garrick has a rounded square toe providing room however we consider this heel to be a narrow-average fit. 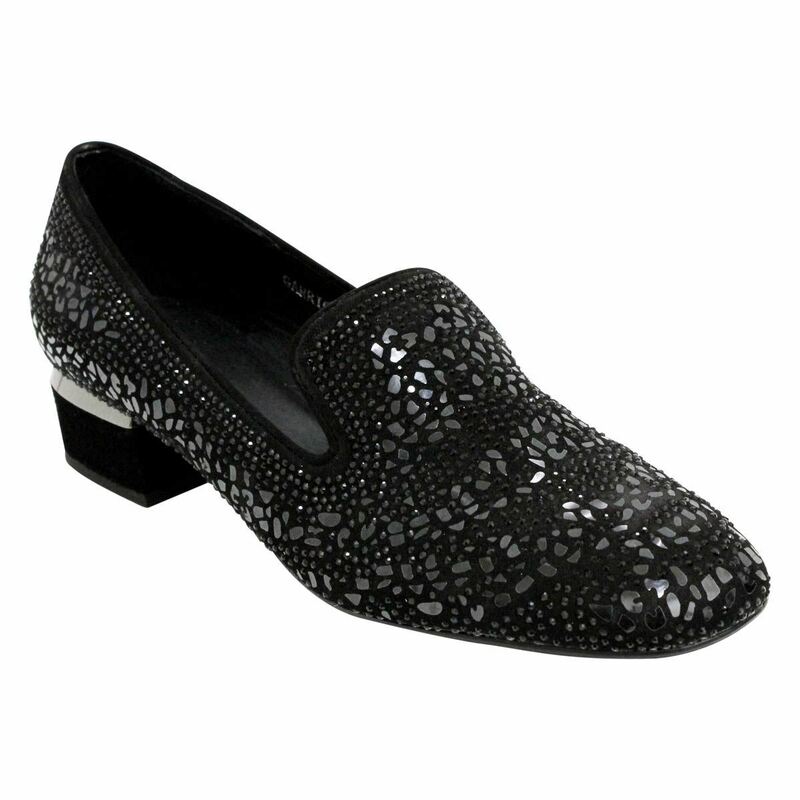 Garrick comes with a padded footbed for lasting comfort all throughout the night.